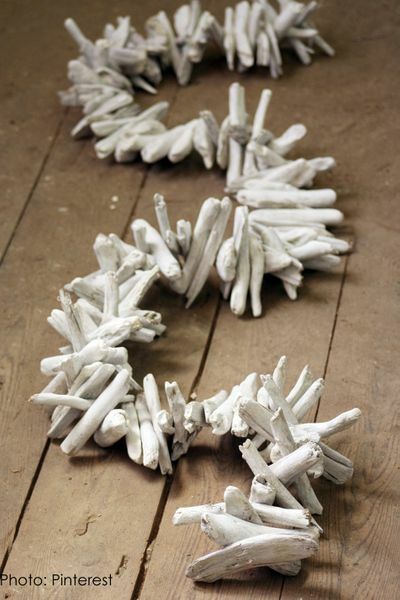 Bring the peaceful, calming qualities of nature indoors with our new Whitewashed Driftwood Garland that's 7' Long! These natural driftwood pieces have been reclaimed and transformed into a distinct accent piece that takes up very little room but adds so much! 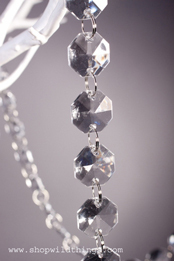 The pieces are strung on a durable plastic line and measure 3" to 5" long and all the edges are smooth. There is a 1" wooden ring on one end for hanging and this garland weighs 2.7 lbs. Perfect Decor for a rustic or beach house, a beach wedding, outdoor entertaining, nautical themed clubs or events and wood is the traditional 5th Anniversary gift! This natural decoration makes a fantastic garland for trimming an evergreen, gracing a mantle or hanging from a soffit, beam or balcony. One of our resourceful customers hung a driftwood garland in a corner to hide a crack in the wall and another creative customer combined it with crystal garlands to create some sparkle and texture! Such clever ideas! For outdoor entertaining or a beach wedding, use this garland to create aisles or hang it from a wedding arch. 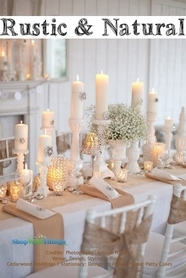 Accessorize tables by laying this down the center and add some shells, pearls and LED candles! Other materials that look sensational intertwined with this amazing gift from nature are greenery, colored tulle, pearl garland strands or colorful blue and green acrylic strands. I just got these in yesterday and love them! Fast shipping, great price and exceeded my expectations! I am going to use them as a garland in my little girls Christmas tree. They will be a perfect addition to her mermaid room. met above expectations for my crafts, it will be a plus for my items I make.